This body armor is intended for use by collection service personnel. It is intended for protection of upper body from firearms billets. The body armor is produced from Molle type modular construction that enables pockets of various sizes, capacity and purpose to be mounted on it. On front and rear parts of the body armor special armored plates of composite material are placed that ensure protection from 7.62X54R mm caliber B-32 type armor-piercing cartridges. 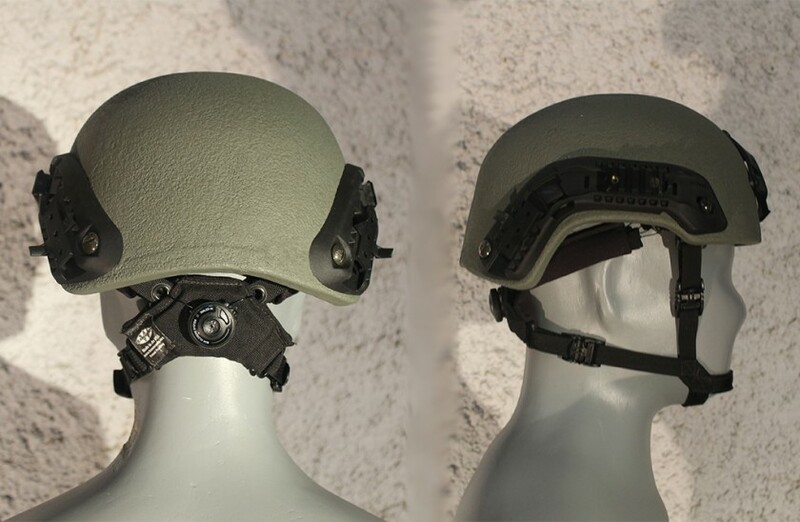 Ballistic tactical helmet DH MK-II is designed from composite materials and ensures the protection of protection of 7,62X25 mm caliber TT cartridges deterrence. The main purpose of the helmet is to deter the debris of artillery projectiles. 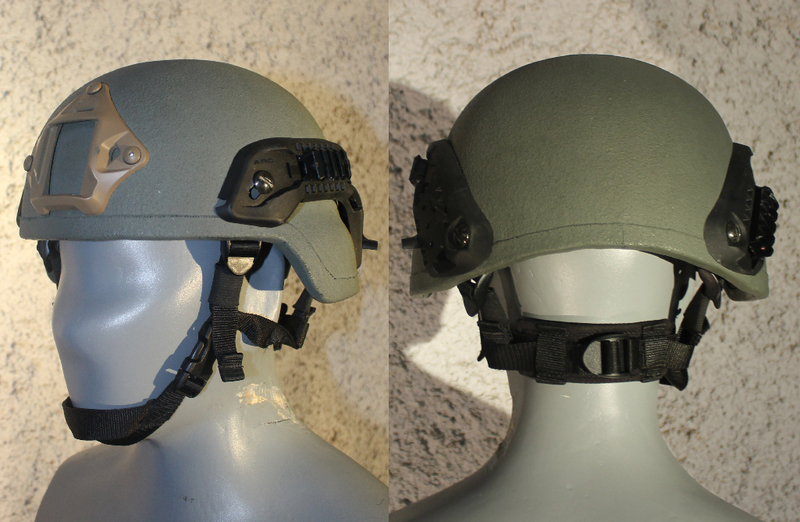 General purpose ballistic helmet DH MK-I is designed from composite material and ensures the protection of 7,62X25 mm caliber TT cartridges deterrence. The main purpose of the helmet is to deter the debris of artillery projectiles. In the inner part of the helmet there is absorbers for dampening kinetic energy, which protects the fighter’s head and neck from secondary damage. Modular Plate Carrier MK-II is intended for individual protection of soldiers, also protects fighter’s upper body from the barrel of arms. It also is intended for protection of upper body from the barrels of arms. Body armor is designed from molle type module construction. In front and back side of body armors, it is possible to place special armor plates designed with special composite materials which ensures the protection from 7.62X54Rmm B-32 type armor-piercing cartridges. All Purpose Modular tactical vest MK-I is intended for individual protection of soldiers, also protects fighter’s upper body from the barrel of arms. It also is intended for protection of upper body from the barrels of arms. Body armor is designed from molle type module construction. In front and back side of body armors, it is possible to place special armor plates designed with special composite materials which ensures the protection from7.62X54Rmm B-32 type armor-piercing cartridges.